Up and ready by 5am. Second morning in a row wasn't any easier. Clearly the novelty has worn off. Haha. We were collected at our hotel and then dropped off at the Urgup Balloons offices where we got a little snack (juice and bread rolls) while we waited for everyone to arrive. We were in the Blue Group. No idea how many balloons they have, but there were red, orange and green .. as well as some people also with Blue stickers that weren't on our balloon? Anyway, eventually they called us and we got driven to the launch site. It was still dark but you could start to see the silhouette of these large round shapes as we drove. And then a few lit up. 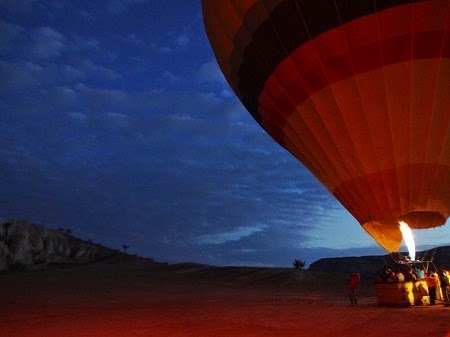 It was very exciting, especially once we arrived at our balloon. The experience was completely magical. Even tho I've been in a Hot Air Balloon before ... there is nothing like watching a hundred other balloons launching and flying around you! And then there is the unique cave landscape that you're flying over. Spectacular and completely worth it! What a superb and perfect way to start a Monday - haha. 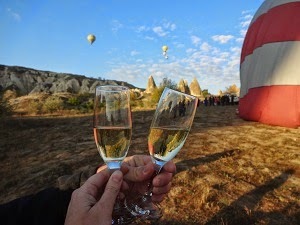 Eventually when it was done, we landed and had a little toast of local champagne (not very good) to celebrate before returning to our hotel for breakfast. 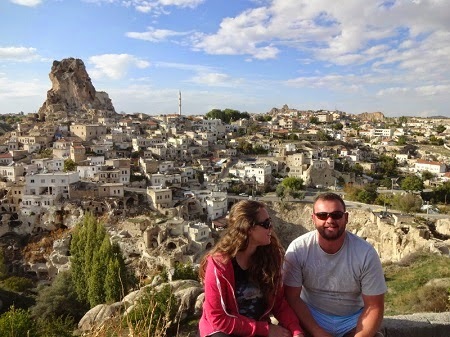 I squeezed in a shower while The Trucker had a nap before we had to pack our bags and head off on another day tour of Cappadocia. Our tour started with a 5km "hike". Luckily it wasn't really a hike, a bit of a downhill and then a lot of flat walking thru a Valley and ending in the Old Greek City (no idea exactly what they were called). It was unexpected, but absolutely beautiful! We walked thru the trees and growth, between the mountains, spotting masses of pigeon houses along the way (so many that we joked we should have a drinking game for every time our guide said "pigeon house"! See photo below). 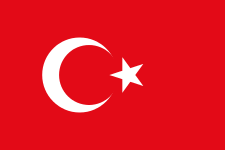 I had no idea Greek and Turkey swapped a bunch of their people back. Seems pretty peculiar, if you ask me ... am going to have to read up about it! After our walk, we headed to a similar tourist buffet spot for lunch. And then we visited one of the apparently many underground cities. Bizarre. Apparently from way back when the Christians were hiding ... not quite like the Cu Chi Tunnels, these went underground for 4 floors (or more? apparently a lot has collapsed). Still. All these people hiding underground around the world, in such different times. Surreal. We had one final viewpoint stop: of another castle (Ortahisar) ... but I found the surrounding architecture far more fascinating (photo below). It seems the cave hotels are all built in Greek Cave Houses and a lot of them apparently collapsed around 1960. 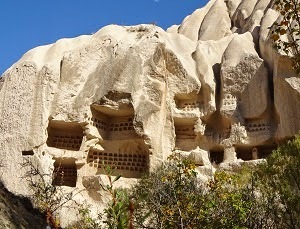 The Greek Cave Houses are obviously not the same as the Christian caves you see at the Goreme Open Air Museum. Or maybe they were adapted from them? When our tour finished, we were dropped off at a different hotel with a few hours to wait till we'd be taken to the bus station. After a bit of sitting around doing nothing we decided to go for a walk. And we got some supplies for our bus trip. We got collected and taken to the bus station (which we'd walked past, like a road away!) at 7pm. At 8pm, we got put on a tiny little shuttle bus (full) like we'd used in the last 2 days on our tours. Pretty unimpressed at what was apparently our situation till 6:30am tomorrow morning but we tried to make the best of it. Less than an hour later we pulled up at the next staion. And they started taking off all the luggage. Turns out that was just a shuttle from Urgup to the real bus station ... and our bus is only arriving here at 10:30!